Kenneth M. King, a professional engineer and retired president and chief executive officer of the architectural and engineering firm Trautman King Markwart Associates, died April 6 in Hospice Buffalo, Cheektowaga. He was 92. 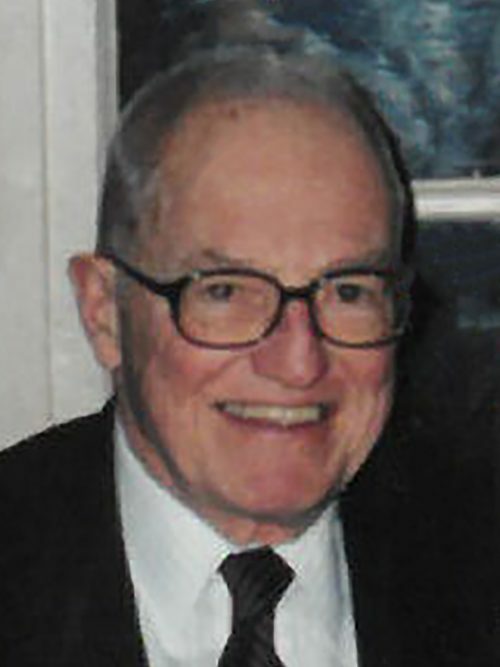 Born in Buffalo, he was a 1944 graduate of Hamburg High School, where he was a member of the football and track teams. He earned a degree in electrical engineering from Carnegie Mellon University and was a member of Delta Tau Delta fraternity. He later completed a master’s degree at the University at Buffalo. Mr. King began his career as an electrical engineer with Rittling Corp. and branched into other areas of engineering. He became a partner in what was then William Trautman Associates in 1969. He retired in the early 1990s. He was a past president of the Erie County Professional Engineering Society. The Erie-Niagara Chapter of the state Society of Professional Engineers named him Engineer of the Year in 1990. After he and Beverly Wright, a registered nurse, were married in 1955, Mr. King designed and built a home in the Boston Hills. He and his wife were charter members of the Boston Emergency Squad, the first volunteer co-ed ambulance squad in the state. He served as president of the squad and was appointed to the Boston Town Planning Board. A sailing enthusiast, he was a member of the Buffalo Yacht Club. He began skiing as a teen and continued into his 80s. He was a longtime member of the ski patrol at the former Glenwood Acres Ski Club. He also played tennis and volleyball. He and his wife were world travelers and he recorded their trips in annotated photo albums. Since the 1980s, they also gathered friends and family for skiing and horseback riding vacations at their timeshare in Stowe, Vt.
Mr. King, whose mother was a concert violinist, played five instruments and was a trombonist in the Hamburg Marching Band. He taught himself the clarinet at age 65. He also sang in the choir at Faith United Church in Boston, with the Friends of Harmony chorus and as a tenor in several barbershop quartets. In retirement, he and his wife lived for about 20 years in Buffalo's Elmwood Village. After moving to the Weinberg Campus in Getzville a few years ago, he sang with the Weinberg Warblers. In addition to his wife, survivors include two daughters, Maureen Callanan and Laurel Lester; a son, Brian; six grandchildren; and a great-granddaughter. A celebration of his life will be held at 2 p.m. Saturday in the Buffalo Yacht Club, 1 Porter Ave.